UJV55-320 | Product | MIMAKI SINGAPORE PTE. LTD. 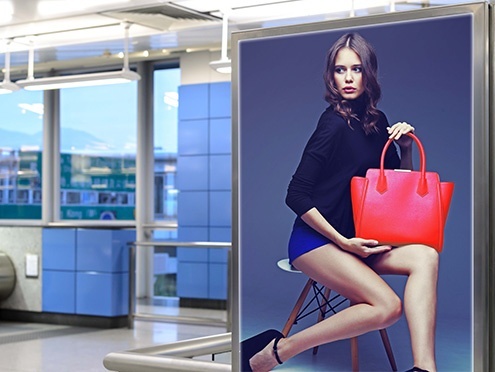 The UJV55-320, 3.2 m-wide LED-UV inkjet printer, offers high cost performance and expands your business. - The combination of white and color inks adds values to transparent media print. 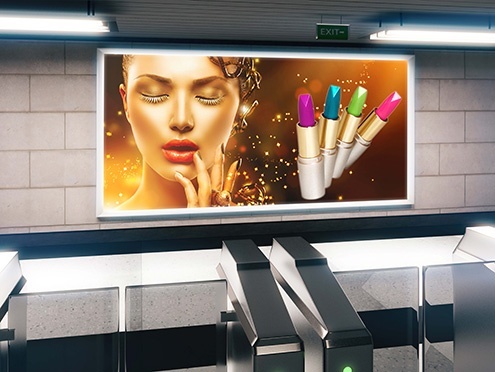 - UV-curable inks form thicker ink films compared to other inks, which reduce light transmission through the colored area, even with backlit signage, enabling finishing with vivid coloring. Moreover, white ink also enables three-layer printing with color + white + color. 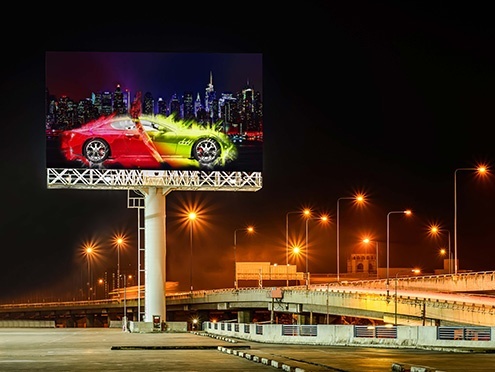 This feature ensures a beautiful color reproduction for backlit signs at any time of day and night. LED light is installed to the front side of the machine. An operator can check a quality of printing under almost the same conditions as being used for the backlit signage. - The new model does not require drying, allowing processing and operation immediately after printing, thereby reducing the total operation time. 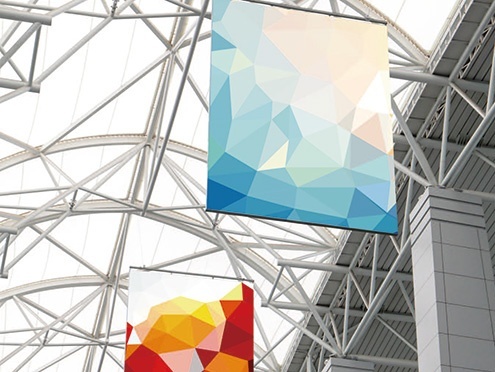 - High printing speed of 60m2/h is achieved on banner material in a high-speed mode (300 × 600 dpi, 4 pass). - The 3.2-m width allows twin roll print capability. Nozzle check unit (NCU) automatically detects and cleans clogged nozzles. Moreover, the nozzle recovery system (NRS) uses only good nozzles as substitutes, if the clogged nozzles are not recovered after cleaning. These functions maintain constant printing and reduce waste printing due to defective nozzles. - Mimaki Fine Diffusion 1 (MFD1), a patented dithering technique, is incorporated in the Mimaki RIP RasterLink6 software. - Mimaki Advanced Pass System 4 (MAPS4) reduces banding and uneven color printing. - The “waveform control” technique ensures ink droplet landing accuracy. *Click to view larger image. Mimaki introduces 3.2M Grand Format LED-UV Inkjet Printer “UJV55-320”, and Product page has been launched!